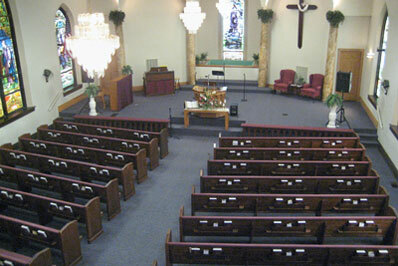 Good Shepherd Baptist Church began in October, 2002, by Pastor Jim Chase. It is located just two blocks east of 9th St. and two blocks south of Union St. close to the downtown area of Lafayette, Indiana. GSBC is an independent, Bible-believing church that strives to reach out with the gospel of Jesus Christ to the community. The people of GSBC love to call the church their home. If you are ever in the Lafayette area please come and visit. They welcome their guests with open arms! Pastor Chase served in the Lafayette area as a pastor for over 43 years before going to Heaven in April, 2016. Pastor Chase was born in Chalmers, Indiana, and grew up in the north end of Lafayette. He attended Linnwood Grade School and graduated from Lafayette Jefferson High School in 1952. After 20 years working for the Indiana Gas Company, Pastor Chase was called into the ministry. He began the Greenbush Street Baptist Church in July of 1973.